Wai Bing brought me this Assam Fish paste from Malaysia recently when she and her family landed in Vancouver early this month. Assam is better known as tamarind and is a popular spice used in Asian and Latin American cuisines. It is also the same stuff used to make Worcestershire sauce and HP sauce. 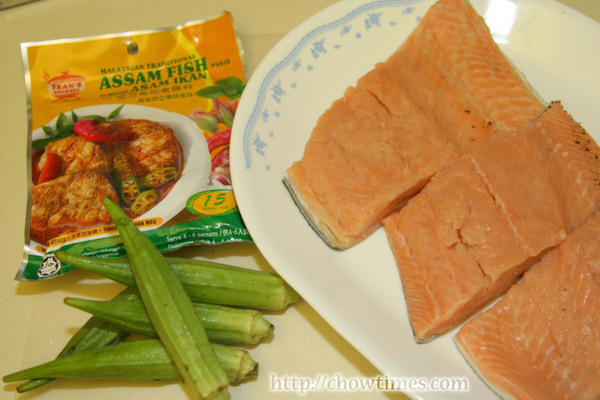 We love asam fish with lady fingers. 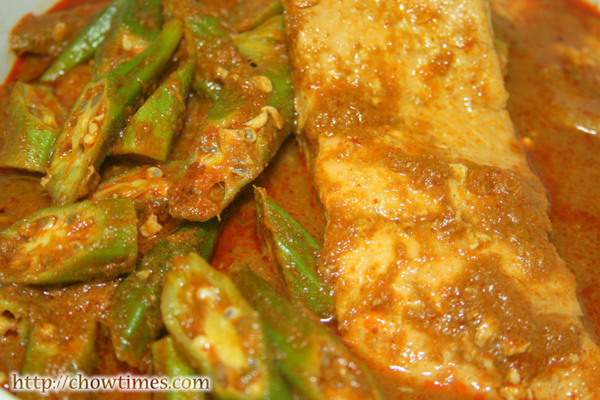 The sour and spicy gravy is best eaten with steam rice. 1 lb fish fillet, I used salmon. 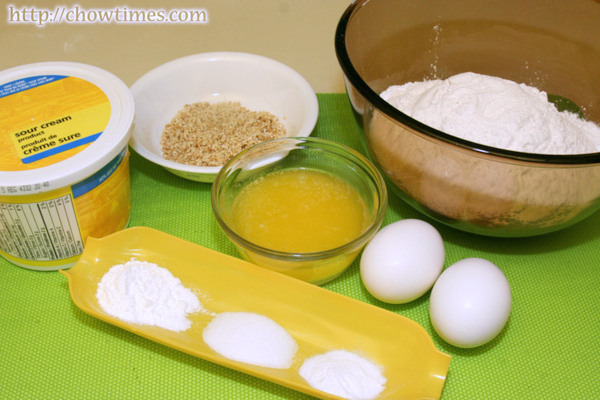 I found this simple recipe from a newspaper and it’s a perfect dessert to enjoy the sweet taste of summer. 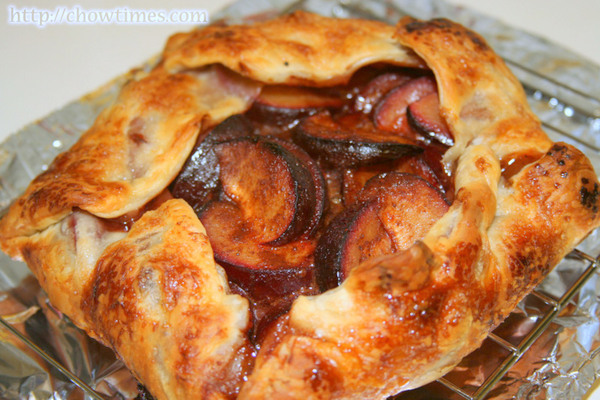 You may use any stone fruit for this recipe like plums, cherries, apricots, nectarines, peaches, etc. All these stone fruits are high in fiber and rich in vitamins A and C and low in calories. The Simple Fruit Tart is best served warm with ice-cream as a topping. 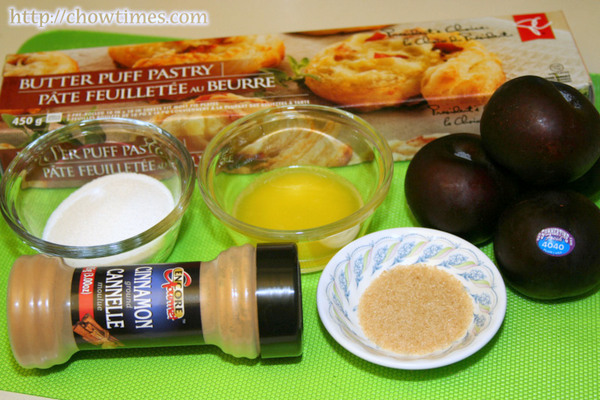 The pastry is flaky and the taste is a mix of sourness (depending on the fruit) and sweetness. I think you will like this. 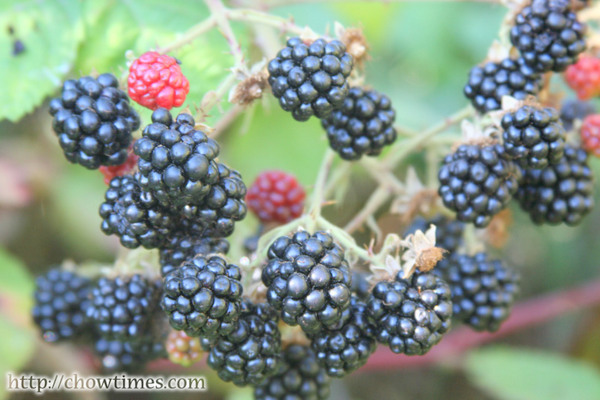 There is a bumper crop of blackberries this year in Vancouver. This has been brought about by lots of rain in June followed by hot, dry weather after, creating ideal condition. 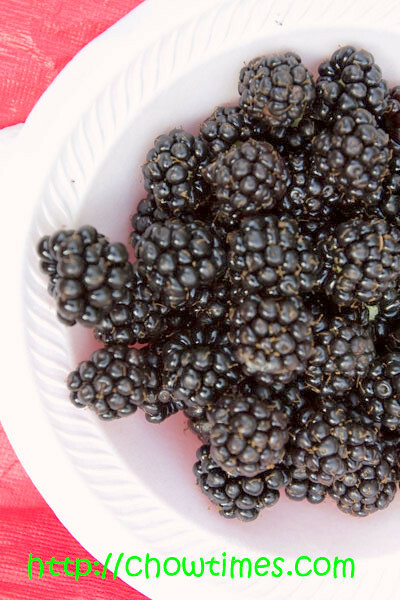 Blackberry shrubs are found all over the lower mainland — roadsides, fence lines, stream banks, railway tracks — and they grow just about anywhere. I bike to work on most days in summer. Along the bike route there are also a lot of blackberry shrubs. These shrubs I find along the route are largely untouched because unless you are on the route you will not know they are there. Duffin’s Donuts on Main St. I can’t really describe this place. 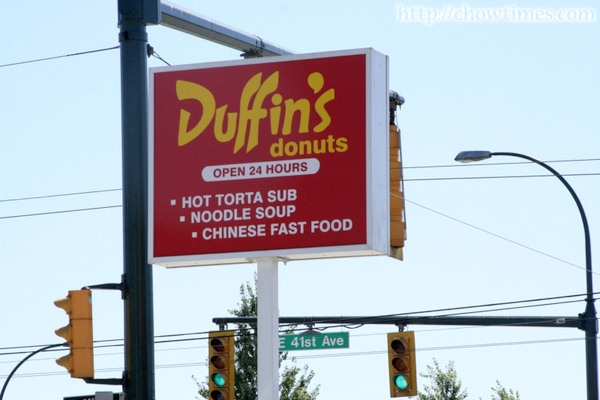 Duffin’s Donuts had been an icon in Vancouver Eastside for a long time. Driving past a Duffin’s Donuts, one gets the impression that it’s a shop selling donuts only but when you get into the store, you’ll find that it’s definitely much much more than just donuts. Duffin’s is actually a Cambodian family owned joint, originally located on Main and 33rd. They are famous for their homemade fresh donuts and Vietnamese subs. But then they also serve all kinds of food from Mexican Tortas, bubble tea, fried chicken, Chinese rice and noodles, — the selection is amazing. We went to the Duffin’s Donuts on 41st and Main. Arkensen ordered a double cheese burger for $4.79. 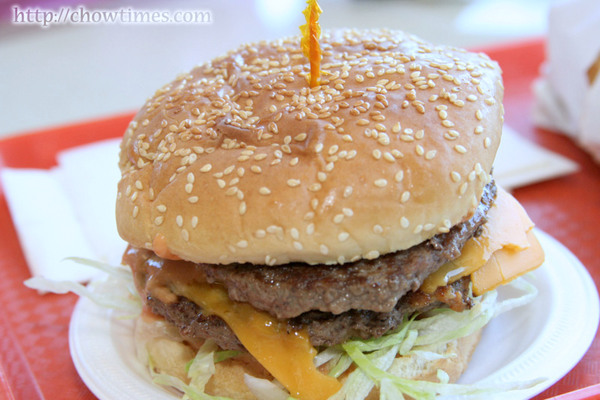 The burger looks juicy. I like the buns in that it’s does not look dry at all. Suanne ordered Machaca sandwich for $3.50. 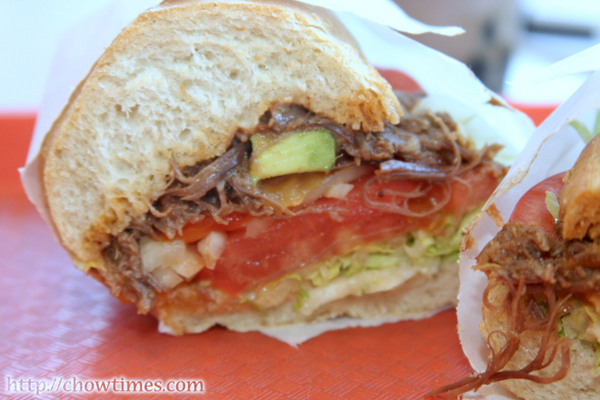 The hot sandwich is made up of shredded beef, lettuce, tomato, slice onion, pickled pepper, avocado on a crusty roll — tasty and filing. 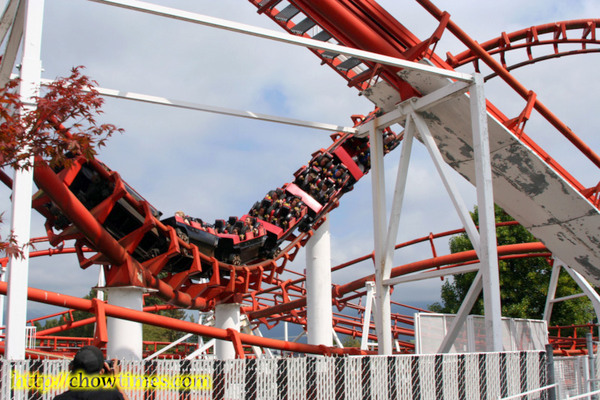 It has been a ritual for Vancouverites to attend the PNE every summer. The crowds at the PNE is at times unbearable. So, I took a day off work during the week to bring the boys when the crowds are much thinner. During the weekend, it’s quite impossible to get from attraction to another. The PNE (Pacific National Exhibition) is normally held the last two weeks just before school reopens. It is because if this timing that Vancouverites had considered the PNE to be the final event of summer. The exhibition has been held in Hastings Park since it first took place in 1910. The biggest attractions of the two-week fair are its numerous shops, stalls, performances, a nightly fireworks show, and the PNE Prize Home. 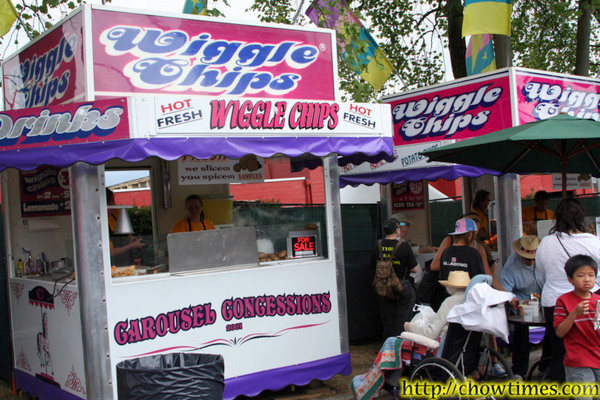 We love the Wiggle Chips at the PNE, having first tried it in Revelstoke. 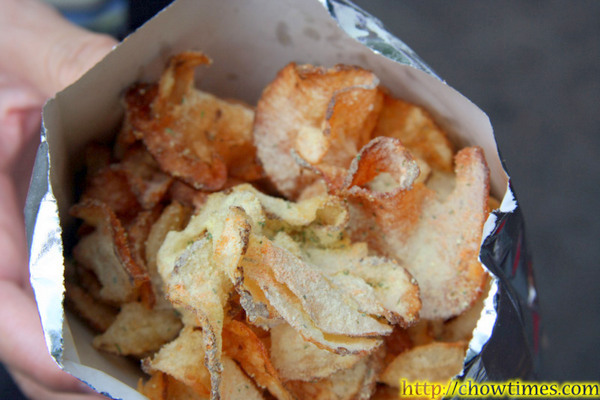 A bag costs $3 or for $5 you get two bags of freshly sliced and fried potatoes. It’s served hot straight out of the fryer — yummy! The sign on the stall reads “We slice’em, You spice’em”. 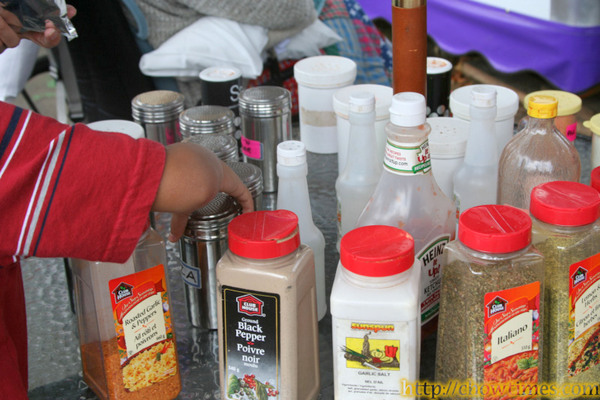 There’s a table full of all kinds of seasonings to spice up your potatoes. We tried almost everyone of the spices! 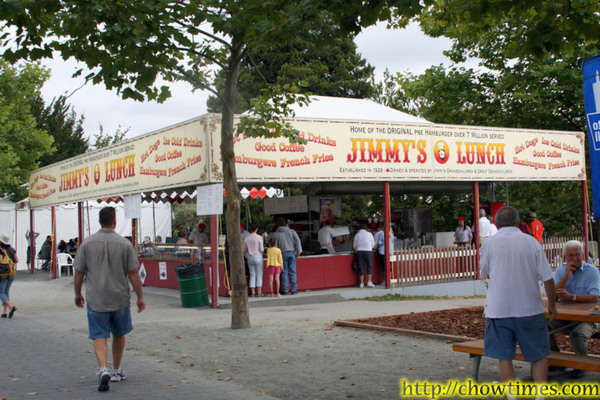 Family owned & operated since the 1920?s, Jimmy?s Lunch serves the famous hamburgers loaded with fried onions. 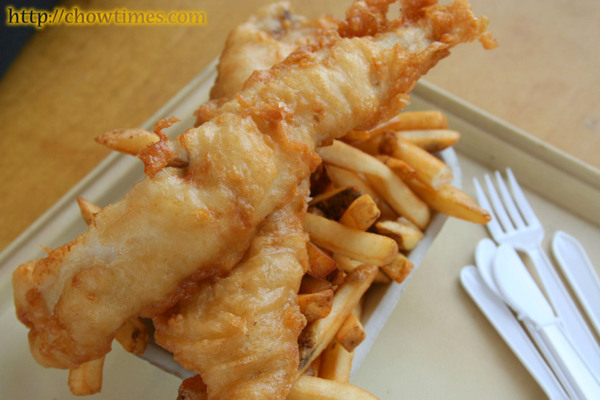 Hot Dogs, fish & chips and french fries are among other traditional favourites at the PNE. 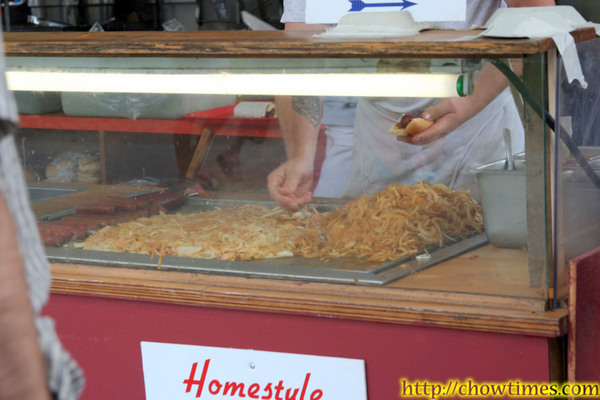 They fry their onions in the front of the stall where they take your orders. Just looking at them and the smell itself will pull you to have a closer look. I like the huge pile of onions. We ordered the two-piece fish and chips just because of the size of the fish. 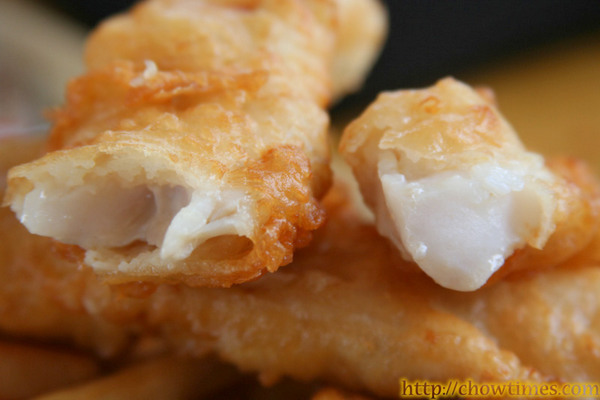 Reminded me of the fish and chips I had in London once. We cannot remember exactly how much it costs — seems like about $9. 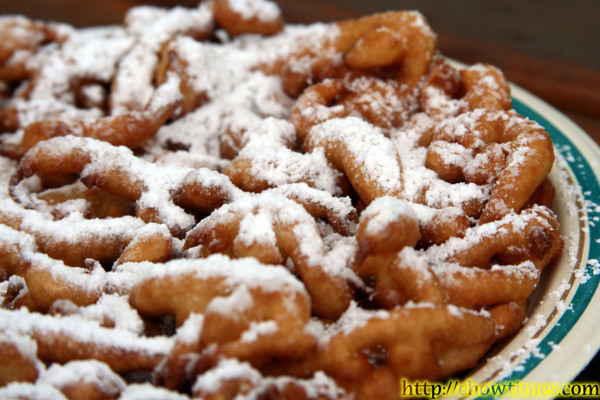 We had also the funnel cake below for $5. For more pictures around the PNE, click the link below. 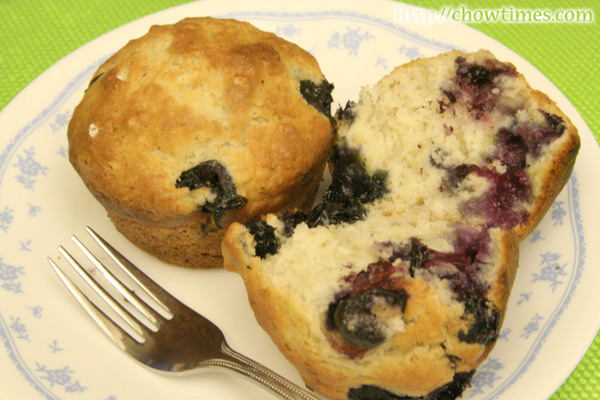 This Banana-Blueberry Muffin is a recipe from Betty Crocker. 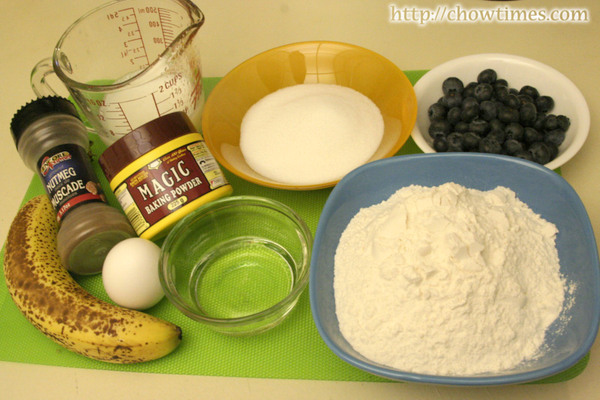 Banana and blueberries blend well together with the sweetness from the banana and tartness from the blueberries. I got this recipe from the web in my early days of learning how to cooking six years ago. Since then, it’s been a classic in my family every blueberry season. 1 cup fresh or frozen (thawed and well drained) blueberries. 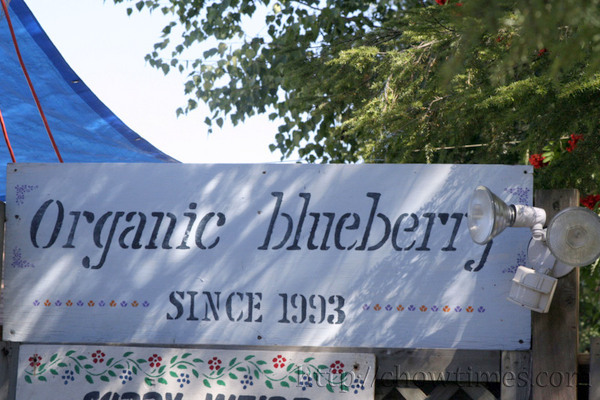 Click here for a list of organic blueberry farms in BC. Polly invited us to the U-Pick Blueberries last weekend. We have never been to pick blueberries before and never knew where the U-Picks were; even though there are a lot of blueberry farms all over Richmond. Polly found one on 11071 Blundell Rd. Coincidentally the owner of the farm were from Malaysia too. We found it spooky when another customer in the farm on that day were also from Malaysia. You can always spot a Malaysian accent with their unique version of English — I call it Manglish! This farm does not sell blueberries at all because he apparently had a lot of orders. He told us that he had already orders for batches of 50lbs or 100lbs that he can hardly fulfill! 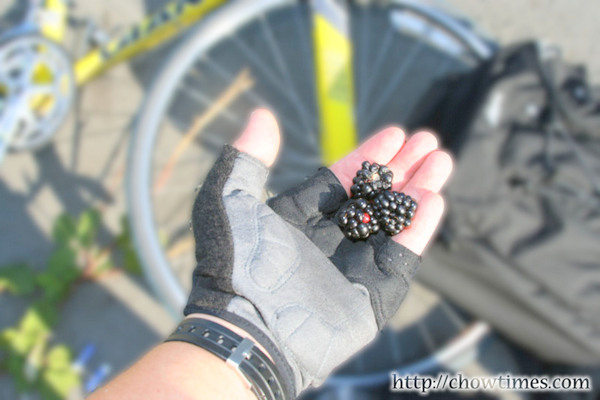 Blueberries are native to North America and Eastern Asia. They grow on shrubs as high as 8 ft tall. 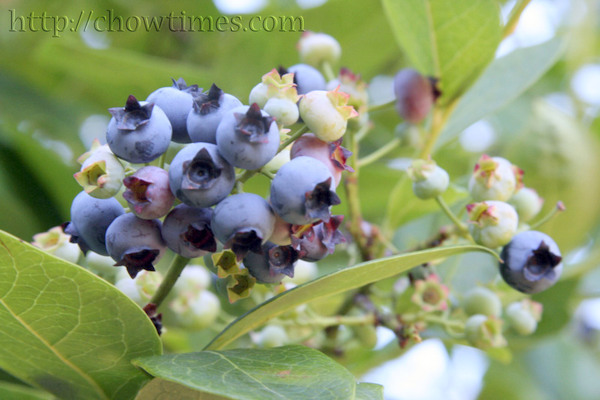 The blueberry season typically runs from May to October every year. Sesame Twist is a simple quick bread which is simple to make without having to wait for rising time. It is good for after school snack. 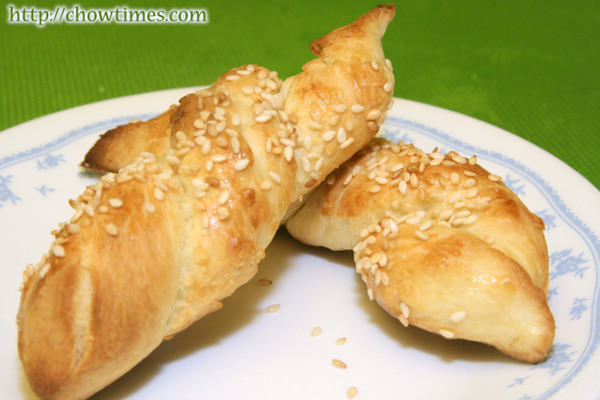 I would recommend the Sesame Twist to be enjoyed with a bowl of soup or a simple mayo dip. This is because it is quite dense and a bit dry to eat on it’s own. 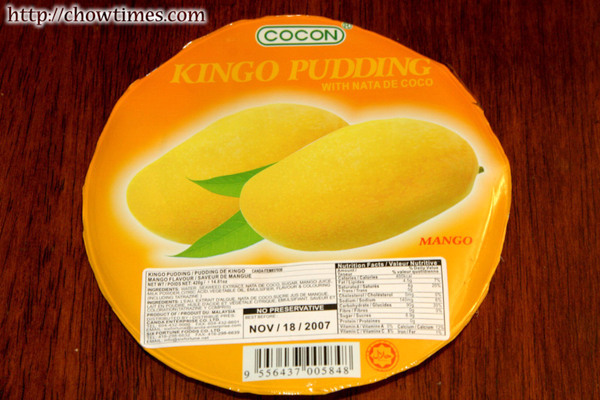 Bought this Mango Pudding from the T&T Supermarket in one of our recent grocery shopping. We like mangoes and used to buy them when it is in season. 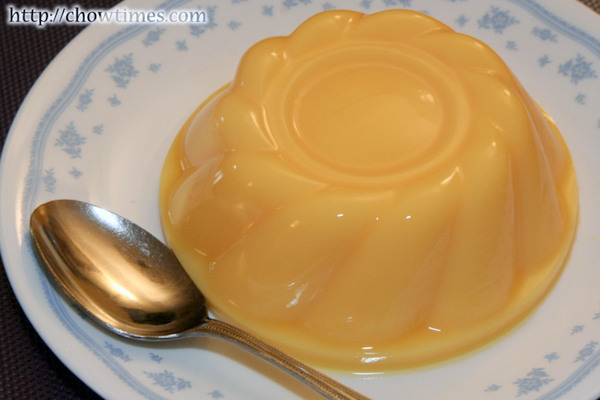 We though we try out this mango pudding and see how it compares with the fruit. The pudding is made in Malaysia. It’s packaged in a plastic mold giving a nice shape. It looks good enough to serve as dessert when we have guests. We bought this for $1.68 each. We did not have a specific place to eat out on a Saturday afternoon. So we tried to cruise down Main St in Vancouver knowing that there are a lot of cheap eats all along that street. 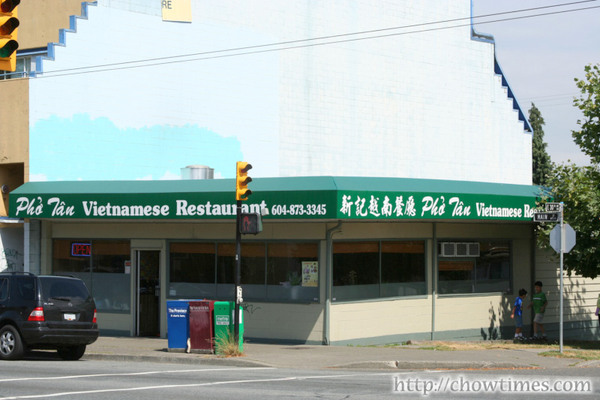 We came upon this “new” restaurant called Pho Tan along Main and 30th Ave. We remember that there was a Chinese restaurant in this lot we tried many years back. Click here for the Google Map of this restaurant. We took a peek into the restaurant and saw that the decor was not bad at all. Most importantly, there were a lot of people in the restaurant — the food must be really good. We had to wait about 10 minutes for a table, which is rarity for a Vietnamese restaurant. 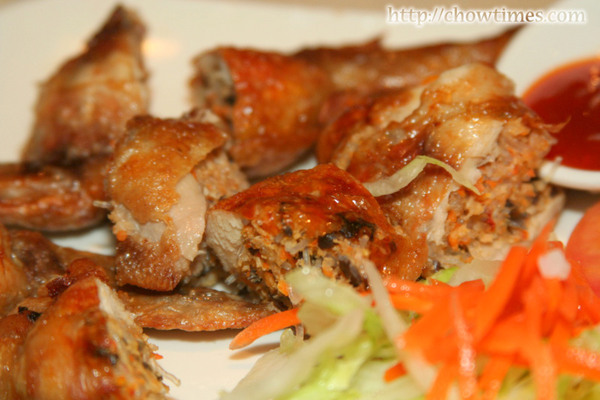 For starters, we ordered the Stuffed Boneless Chicken Wings (Cinh Ga Rut Xuong). There are 3 wings in all. The skin were crispy and is stuffed with the kind of things you find in spring rolls. This dish is $6.50. It was very good and we recommend this.